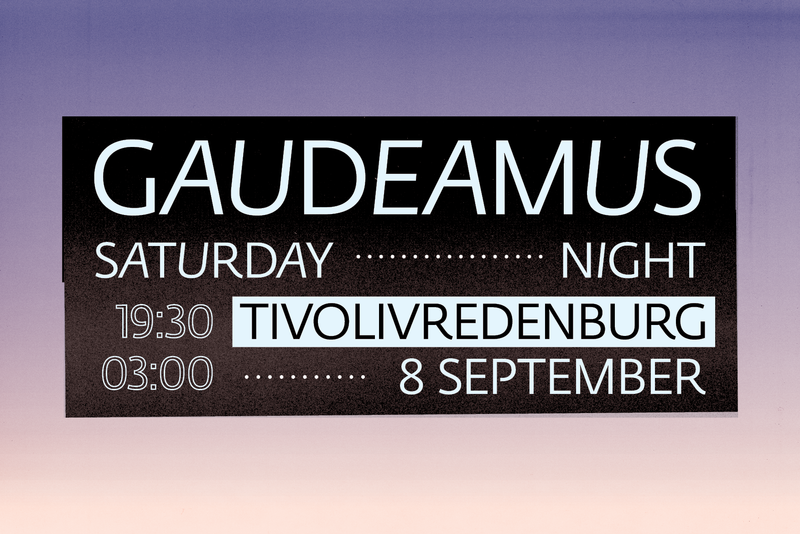 Gaudeamus Saturday Night presents a jam-packed programme in and around TivoliVredenburg’s concert halls. An evening devoted to the newest music in all its guises, from wrenching, edgy minimal music to experimental electronics. Ulysses Ensemble + IEMA Ensemble Saturday Night begins in the Large Hall with the sizeable Ulysses Ensemble + IEMA Ensemble (more than thirty instrumentalists), a collaboration between different European organizations, and the International Ensemble Modern Academy. The result is a splendid cross section of contemporary music, with work by Anders Hillborg, among others. Kara-Lis Coverdale Canadian Kara-Lis Coverdale is, according to media such as The Guardian, “one of the most exciting North American composers”. Using chest organ and electronics, she puts together a dynamic live set which creates new standards in the world of unlimited electronic music. CARMEN & Matthew Schoen CARMEN is the alias of composer/producer Carmen Vanderveken. 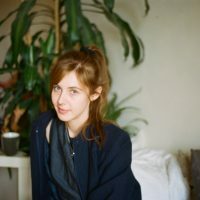 She uses synthesizers and acoustic instruments to produce intimate, eccentric, but danceable sonic sculptures, which are supported live by Matthew Schoen’s playful and colourful visuals. Silbersee performs Stockhausen’s Stimmung Silbersee presents an evening ritual in the form of Stockhausen’s Stimmung, a fascinating, minimalistic composition in which, in an acoustic palette constructed layer by layer, the listener gradually discovers the ‘souls’ of the voices. 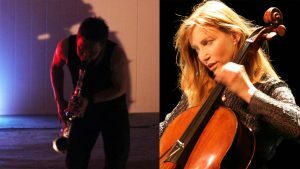 Gareth Davis and Frances-Marie Uitti Armed with only a bass clarinet and cello, Gareth Davis and Frances-Marie Uitti produce a terrifying and enervating sound. Daydreams become nightmares. Whispering sounds are throttled. BarmyFiveseveN performs the music of Cardiacs The music of Cardiacs frontman Tim Smith is full of energy, humour, beauty and Britishness. After having a cardiac arrest, he can no longer perform in person. His unique mix of punk and progrock, packed with inventive orchestration, is performed by BarmyFiveseveN, a small big band formed by musicians from the Conservatorium van Amsterdam. Luke Deane – She Flies By Night, a film and performance in which musical notes escape from the paper into a 3D world. The story of two friends Ezra and David, who experience a romantic moment until Ezra’s fear of intimacy drives them apart. Lost in darkness, they must process their personal feelings separately. Will they find their way back to each other? Plastiklova Plastiklova is the Amsterdam duo of Laurent Warnier (vibraphone) and composer/producer Yu Oda (electronics). Vibraphone and danceable electronics embark on a daring and successful marriage with an infectious and warm danceable sound. OKAPI presents Paper Ensemble Is it possible to wrinkle, fold, furl and turn an 100 square meters sheet of paper into an imaginative and interesting musical landscape? Watch and listen to the Paper Ensemble. Part of the concentration asked route. Monoták – The Golden Years Monoták is a collective of ten composers which since 2012 has organized various concerts and events. The composers and musicians have different musical backgrounds, from jazz to electronic improvisation and from pop to contemporary classical. This evening Monoták totally takes over The Pit and presents a continuous and surprising programme. Waanzee (Rosa Ensemble) Waanzee is the rock outfit of the Rosa Ensemble from Utrecht. A band with a unique double line-up: 2 elektric guitars, 2 bass guitars, 2 drum sets and 1 flamboyant singer. Filthily grooving and bone-dry rock songs with bizarre hooks and brilliant musical invention. Ensemble Vonk: Songs for VONK In Songs for VONK, a crossover between contemporary classical and avant-garde pop, composer and artistic director of VONK Nicolien Soeter, invites composers and songwriters to join together to compile a new programme around the theme of evolution. With songs composed by Molly Joyce (USA), Brechtje (NL) and Nicoline Soeter (NL). re- (Thanasis Deligiannis + I/O) Greek composer and music theatre producer Thanasis Deligiannis is artist-in-residence with Gaudeamus. At the beginning of last year, under the auspices of SPR!TZL (the development platform for the artists of Silbersee), he was able to work on his production re-, a solo performance in which he receives the audience in his extraordinary nightclub. orkest de ereprijs Each year orkest de ereprijs organizes the Young Composers Meeting. Young composers write ultra-short pieces for this idiosyncratic collective associated primarily with wind players. The three winners from the last YCM (Nursalim Yadi Anugerah, Patryk Kusiak and Alisson Kruusmaa) feature in this programme, alongside new work by Ivan Vukosavljević (commissioned by Gaudeamus) and Jonathan Brigg. Stranded FM The online radio station Stranded FM, based in Utrecht, hosts Club Nine. It is known for its left-field programming and is averse to and steers clear of the mainstream. The choice of performing artists reflects this mindset. The programming will be announced at a later date via the website. OKAPI presents Practical Music A new impro trio consisting of pianist Oscar-Jan Hoogland, guitarist Jasper Stadhouders and drummer Frank Rosaly. Stadhouders’ and Rosaly’s expressive and highly physical playing contrasts with that of Hoogland, who with his machines, sirens, record players, electric clavichord and a gambling machine determines the tempo, like an engineer in a control room. Sarah Davachi is a composer of electronic and electroacoustic music. 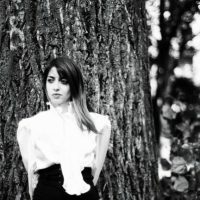 Davachi’s compositional projects are primarily concerned with disclosing the antiquated instruments and forgotten sonics of a bygone era in analog synthesis, with concurrent treatment of acoustic sources. 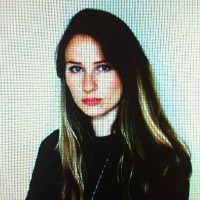 Her work considers the experience of enveloped sonic dwelling, utilizing extended durations and simple harmonic structures that emphasize variations in overtone complexity and psychoacoustic artefacts. Cengiz Arslanpay plays different kinds of wind instruments from the Anatolian areas. He combines thesounds of these acoustic instruments with electronic instruments. His music is a mix of classical Turkish sounds with a fresh, contemporary electronic sonic journey. Music that takes you to different sonic worlds and traditions. Coby Sey (with Ben Vince and Chris Calderwood) made an amazing impression at last years Le Guess Who? festival. A long time collaborator of Mica Levi and Tirzah, Coby now forges his own path as producer. Sey’s atmospheric sound spans the realms of live instrumentation, sample-based productions, and classical and experimental music. Similar to Actress and Dean Blunt, Sey’s work reflects the steamy and sheltered eroticism of London’s nightlife. On stage, Sey will be joined by saxophone players Ben Vince and Chris Calderwood.